If you are looking for a Hog Roast Gloucester caterer then rest assured that Spitting Pig can make your hog roast a great success. You will be free to sit back and enjoy your party leaving us to take of everything and your guests will be thrilled with our great food and attention to detail. We have been providing excellent hog roasts in Gloucester for over fifteen years. Whether its a hog roast in Bath or a wedding in Swindon, Spitting Pig Southwest can cover all your catering needs. An up and coming trend in outdoor events the traditional hog roast is providing a cost effective and delicious catering option across the South West, we have a variety of menus and machine hire options whatever the size of your party. We cover all events from birthdays, anniversaries, weddings, fairs, festivals and farmers markets to business and corporate events, meetings and trade events. Whatever the occasion our roasting machines are delivering honest, hot, wholesome food. The number of Cirencester hog roast parties we have provided catering for in our 15 years in the industry is higher than ever as hog roasting is becoming a more popular and cost effective method of catering than ever before. Our experience starting with purchasing the correct freshest ingredients ensures we provide the best quality of meat, salads and desserts available. At Spitting Pig we pride ourselves on our high level of service and provide each of our customers with a package to best suit their needs. 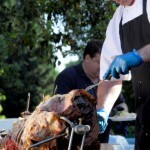 A hog roast is a pretty challenging catering experience to undertake with family and guests watching your every move. We provide staff to take away all the stress and problems of catering at your party leaving you free to mingle and enjoy the occasion. When using the best roasting machines, the best cuts of meat go hand in hand. Free to provide your own meat we can also provide locally sourced quality meat prepared to your specifications and tastes. The machine is only as good as the meat you choose to roast on it, whilst we recommend fresh free range pigs, spring lamb, Hereford beef or chicken are also options for a roasting event. We offer tasty, affordable menus to clients who are looking to wow guests with their originality. Spitting Pig definitely provides something different to the traditional seated menu. 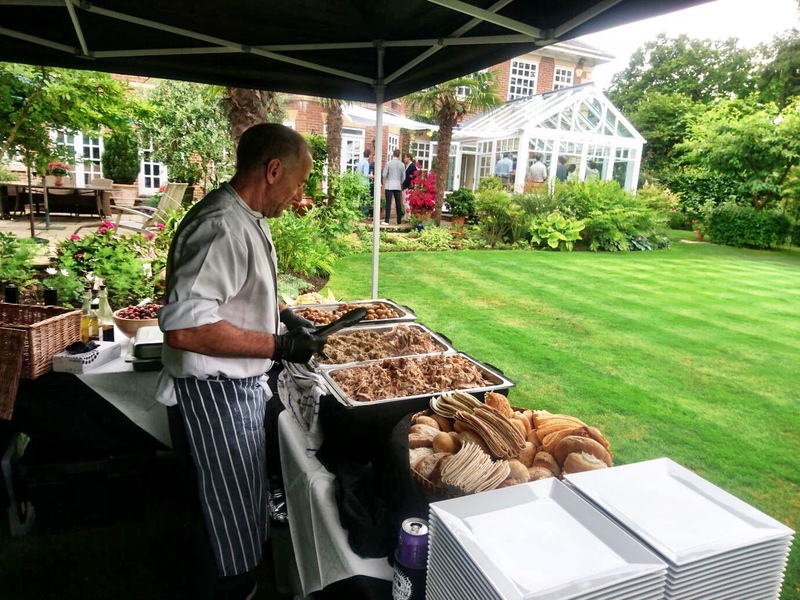 In fact, hog roasts and BBQ’s are becoming increasingly popular for weddings, corporate events and smaller family gatherings and being at the forefront of the industry, what better company to entrust your big day to? 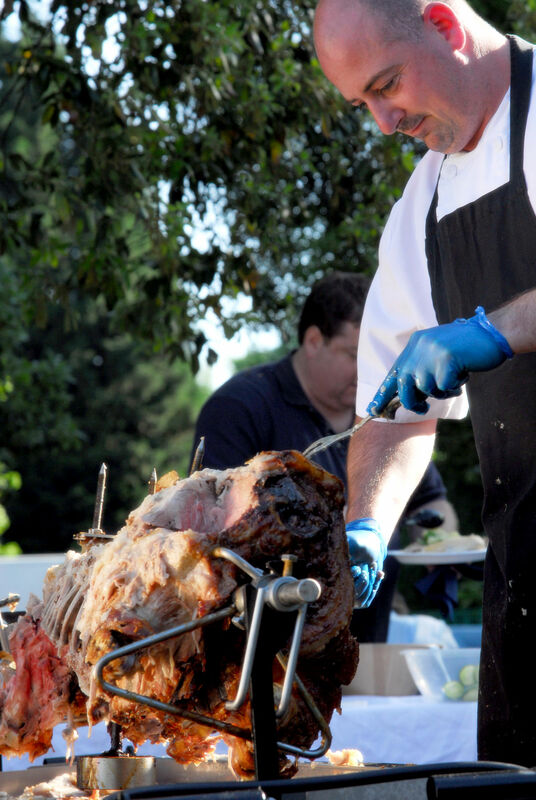 Our hog roast Gloucester team are dedicated to making your event an outstanding success. 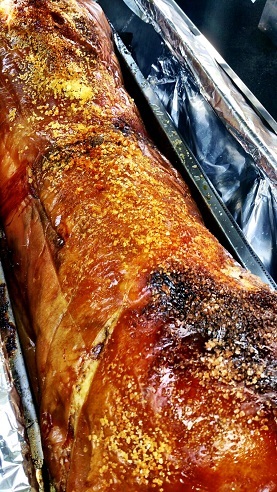 At Spitting Pig South West we provide the very best hog roast catering in the South West of England, we have catered our hog roasts in Bristol locations and others such as Gloucester, Cheltenham, hog roast in Bath and hog roast in Swindon. Wherever your event is at home, by a lake, at a hotel, at a village hall or in a field we always pride ourselves in the superb service we offer and the fabulous food we serve and have done so for over 15 years. 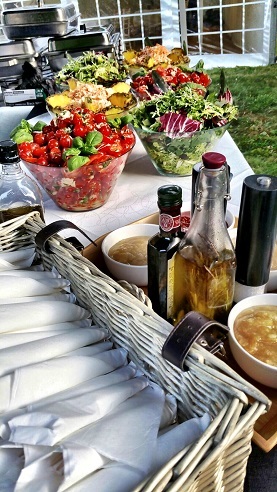 Based in our 5 star rated kitchens in Gloucestershire we produce exceptional food for every occasion including Weddings, Corporate functions, Christmas parties, Birthdays, Charity Dinners, Sporting events as well as many others including bbq catering – whatever the reason we will always provide the very best catering experience. – Just to name a few! We can even provide you with a venue to host your event at please ask about catering at the Hingham Golf Club. Spit roasting has been around for centuries and is a very old custom used to celebrate monumental and important festivals. This is becoming more and more popular and has started to become a widespread form of catering for all types of functions and events. At Hog roast bristol when we spit roast our meat, it locks in the flavour but eliminates cooking the meat in its own fat and juices, providing a healthier option and a more pungent experience than other catering methods. Unlike some of the other spit roast companies, we use only the best quality produce and meats. Our machines are also exceptional designed and built in our own factory. Our spit roast oven has a glass viewing panel, which means you can see the whole hog rotating and cooking. This method also allows us to control the temperature of the meat at all times. Other companies use machines which are too close to the ground and the joint is not visible until it is fully cooked, then it is taken from the machine and put on to a stand where you can see it, this takes away the pleasure of watching the joint being roasted.